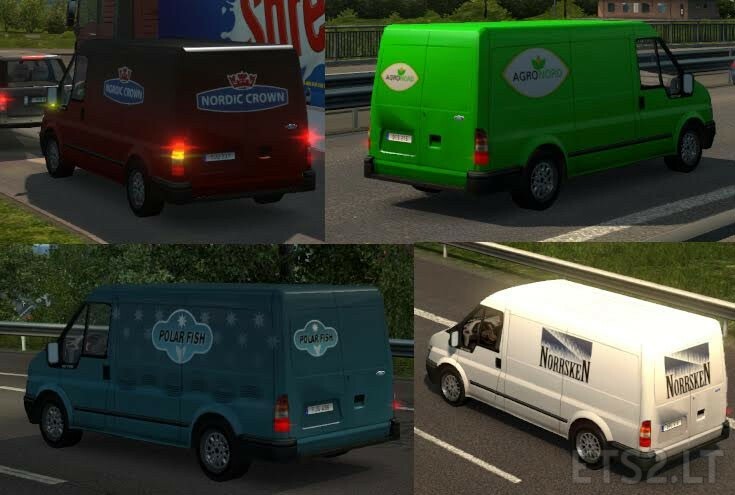 -Kollektsiya Of 21 Skeena service vans Scandinavian companies. -They Will not appear on the DLC East and Continental Europe. 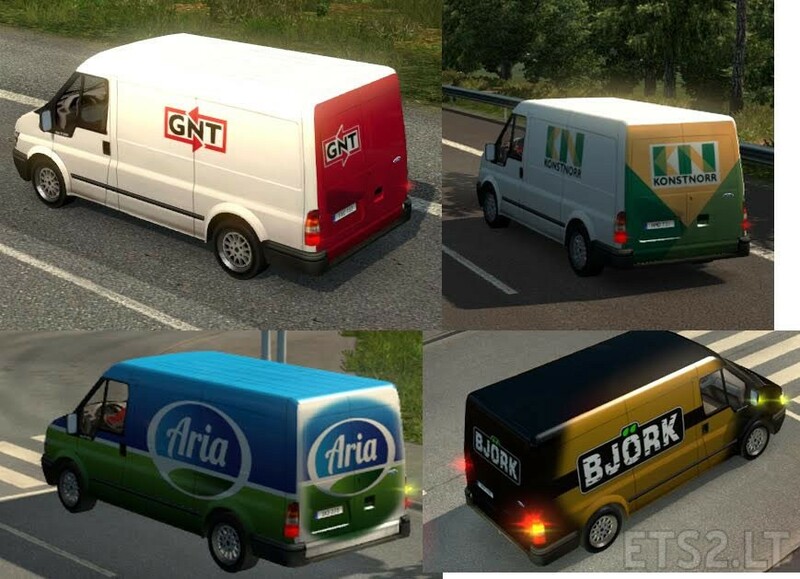 Agronord, Aria, BHV, BJORK, Drekkar, GNT, IKA Bohag, Konstnorr, Nordic Crown, Norrfood, Norrsken, NS Chemicals, NS Oil, Polarfish, Polaris Lines, RENAR, Sag & tre, Scania, Vitas Power, Volvo, and VPC. This mod is based on AI Van models released in Jazzycats Paquet passenger traffic. Compatible with Pak passenger traffic from Jazzycats. 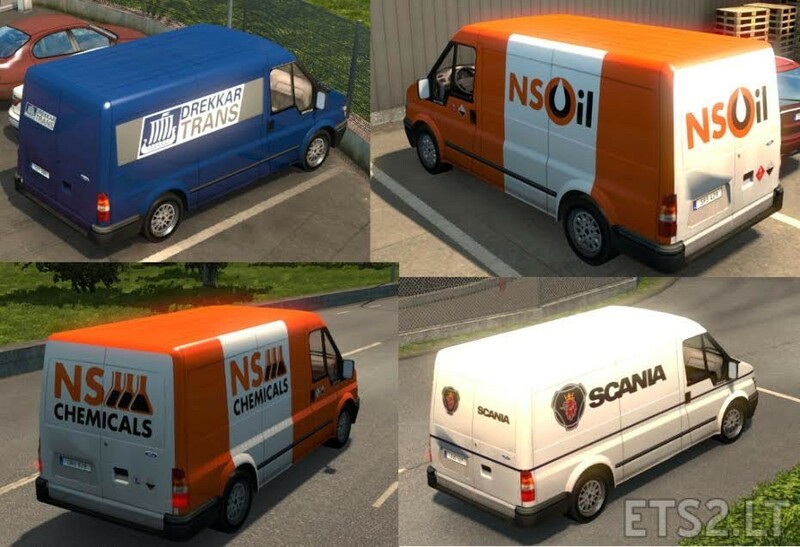 Mod tested on version ETS2 1.24.2s on a standard map SCS!